To help work out how much electricity businesses are consuming, we have two types of energy monitor available to borrow for free. We ask for them to be returned after two weeks to give other businesses a chance to use them. But you may decide that they have been so useful that you want to buy one to keep on your premises permanently! Why should you borrow one of our energy monitors? The Efergy Esocket is for measuring how much electricity an individual appliance uses. It’s very simple to use - you just plug in whichever electric appliance you want to check. The most important information it gives you is how many watts of electricity are being used, but it can also display and record the cost. The Efergy Esocket is very sensitive, which makes it useful for checking how much appliances are consuming on standby mode. Remember that every watt of stand-by consumption will cost around £1 if left for an entire year (based on 12p/kWh). You can also use the Efergy Esocket to see how much an appliance uses over a longer period, such as a computer or a fridge (see below...). The Owl monitor tracks all of the real-time consumption through an electricity meter. The portable display unit is wirelessly linked to a transmitter that connects via a sensor to a cable by the meter. It displays information on running costs, energy usage and carbon pollution. The Owl can be used with both Economy 7 and Economy 10 tariffs. We have extra sensors available if you are on a three-phase supply or if your cables are too broad for standard sensors. We also have a couple of monitors with USB connectivity, which allow the user to download the data for more detailed analysis. This is the option for the enthusiastic energy savers!!! It's a good idea to borrow both an Owl monitor and an Efergy Esocket. Check out our information sheets we have put together to give you ideas of what to do with the monitors (pdfs below). We have also borrowed some information sheets on appliance running costs and standby consumption from Alness Transition Town Group (pdfs below). They are useful to refer to if you borrow one of our monitors. We would like to tell you what one of our clients found when they borrowed an Owl and an Efergy Esocket. It could give you ideas for how to use the monitors in your business. The Mallard Bar is a busy pub in Dingwall, right on the platform of the train station at the eastern edge of the town centre. The Manageress Leslie-Ann was keen to use our monitors to get to grips with electricity use on the premises. She borrowed extra sensors for the Owl monitor as the meter at the bar is three-phase. It didn't take too long to fit the sensors and link the transmitter to the display unit, which Leslie-Ann kept in her office. They decided to use the Owl to measure all of the consumption through the meter in the first week of the loan. This would help establish a baseline of electricity use in the bar. For the second week, she encouraged The Mallard's employees to be more careful with their energy use. They all looked at which appliances were using the most electricity. As the model of Owl monitor they borrowed had a USB connection that meant they could also download the consumption data onto a computer for in-depth analysis. They found that electricity usage through the meter at the bar reduced by 13% in the second week. This was with very little difference in trade between the two weeks. They attributed much of the drop in consumption to the improved awareness of how much energy various appliances used. For example, the extractor fans in the kitchen were found to use around 6kW of electricity, so staff only switch them on when food is being prepared rather than during all operating hours. In addition, employees were encouraged to switch lights off in vacant rooms - it is important to find energy-efficient replacements for incandescents and halogens as lighting is a major cost for businesses. In later weeks, when there was less concerted effort to save energy, electricity consumption levelled off at around 7% lower than the first week. Therefore, The Mallard expect their electricity usage will be permanently lower thanks to the information provided by the Owl monitor they borrowed. In fact, they have invested in their own Owl monitor so they can keep tracking consumption over the next few years. The esocket monitor was used to see how much energy the fridges behind the bar consume. Instead of the fridges being on 24 hours a day, they installed a timer to switch them off for five hours from closing to early morning. The drinks were cool again by opening time, but consumption was reduced by 9%. “The monitors are easy to use and the display makes it clear exactly how much electricity is being consumed. I looked at the monitor a few times an hour throughout the day— it was surprising how much of a difference the small changes made. Assuming we keep up our 7% reduction, we estimate that we will save around £350 on our electricity bill over the next year." 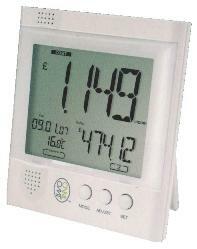 Contact us for more information about our energy monitors: keeptheheatincampaign@gmail.com / 07715 663781. Remember to have a look at our pages on renewables, low-energy lighting, low-cost energy efficiency measures, and refrigeration.